Les Gets is a fantastic place for a summer holiday, boasting a range of amazing activities, stunning scenery and fantastic bars and restaurants. 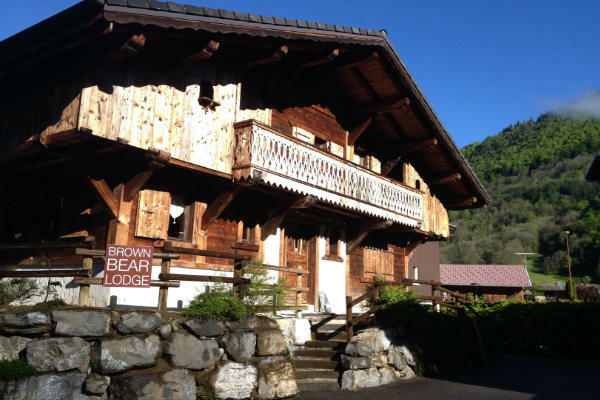 There’s something for everyone to enjoy in this pretty Alpine town which sits just 5 miles from the centre of Morzine. Les Gets which is just 90 minutes from Geneva sits in the heart of the Portes du Soleil so offers easy access to everything the region has to offer. 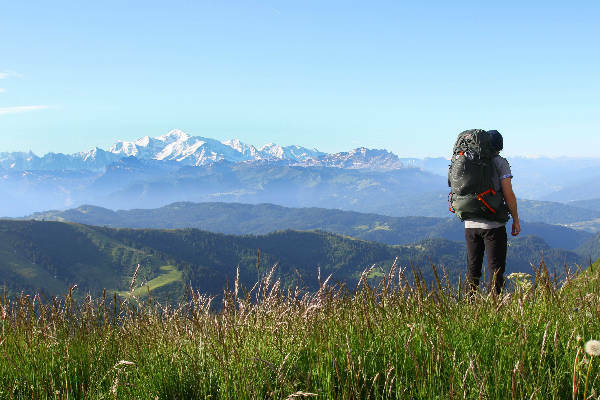 Whether you’re into road cycling or mountain biking, running or swimming, hiking or just enjoying the sunshine, Les Gets is the perfect place to head to to get your mountain fix. The town itself is very picturesque, with lots of wooden chalets and hotels decked out with hanging baskets of flowers. The bars and cafes in the area have large terraces meaning eating and drinking can be enjoyed outdoors while lapping up the summer sun. There is a good selection of sports and gifts shops, creperies, patisseries and restaurants as well as the local weekly market. In front the Les Gets tourist office there is a bike pump track where kids and adults can have a go at mastering their biking skills. There is also a carousel, trampolines and bouncy inflatables, plenty to keep the children amused for a few hours! This tourist office area is a real hub of activity and there is often live music and street entertainment in the evenings. Les Gets also has a man made swimming lake with floating inflatable slides (there are life guards during July and August) and it is surprisingly warm at an average temperature of 22 degrees in July and August. Next to the lake there is a ropes course which twists and turns through the trees. It has tarzan nets, slides and zip wires and is suitable for both adults and children. You’ll find plenty of restaurants in Les Gets which offer traditional Savoyard food. Don’t miss out on your chance to try a cheese or meat Fondue, a tasty, creamy Raclette or a rich and filling Tartiflette. La Pela in the centre of town is one of the most popular traditional restaurants and offers all of the meals you’d expect to see in Les Gets, alongside a heap of other choices. La Case K2 is another popular French restaurant which is also popular for its burgers and pizzas. It offers take aways if you’re looking for a break from restaurant dining. Also hidden away, high up on some of the mountain hiking trails, you’ll find some fantastic restaurants. You just have to know where to find them. 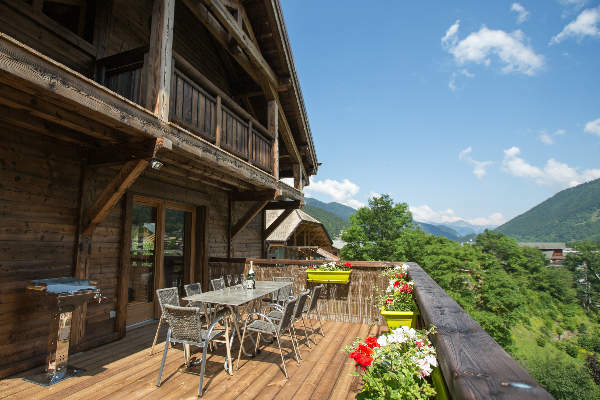 For instance, in an area of Les Gets called Mont Caly, you’ll find Les Cheverelles, a traditional restaurant with panoramic views of Mont Blanc and the surrounding mountains. 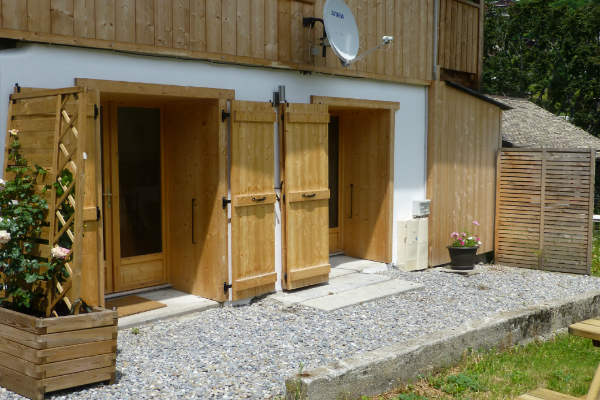 Or, at the top of the Pleney, linking Morzine and Les Gets, you’ll find La Vaffieu. This restaurant with its great outdoor terrace is a firm favourite with people staying in both towns. If you’re spending a day on the mountain and fancy a little drink to mark the end of the day then Les Gets has plenty of great bars to choose from. Bar Bush is a favourite with the locals and has a very laid back atmosphere. L’Apreski is also a favourite if you want to enjoy the last sunshine of the day as it sits at the bottom of the mountain and has a large outdoor terrace, chill out and watch the daring downhill mountain bikers come down the mountain or watch the paragliders come in to land. Le Barbylone is also worth visiting, it serves cocktails and has a great atmosphere with bands often playing in the evenings.